Yoga for Foodies is a unique and fun way to unwind on a Friday evening and rejuvenate your body and mind through awesome Yoga and delicious food in the company of other like minded people. 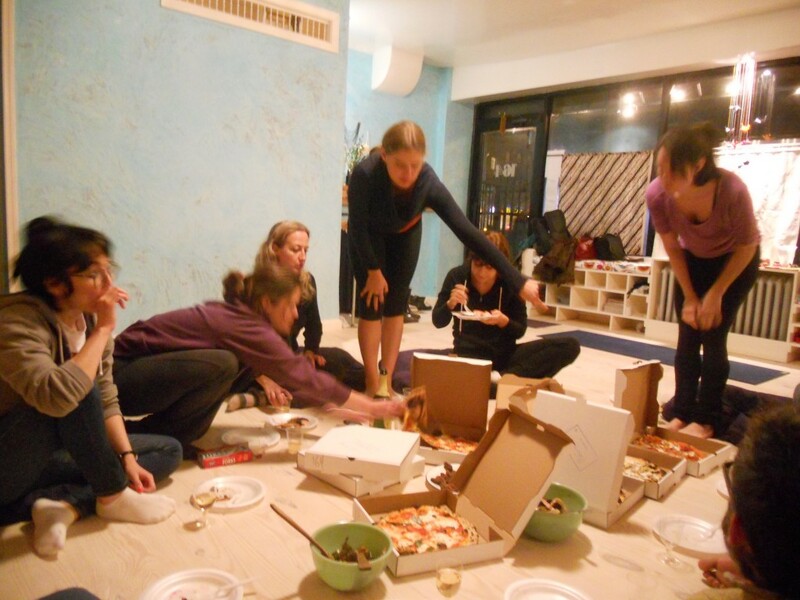 Organized every friday evening in New York City, Yoga for Foodies includes 60-75 mins of Yoga class at a participating studio that includes several poses to wash to relieve the stress and give the body some much needed stretching and to whet your appetite. And after class comes the other good part – delicious food from a local restaurant or a meal cooked by the studio instructors/students. So come join us for an evening that will leave both your soul and palate contented. You now have another reason to say, TGIF! Update: Starting July 2012, we have received generous support from iFood.tv, a leading food video cooking website that has agreed to sponsor the food. Note: this will not be a regular event but we are sponsoring the food at the Institute’s Community Night. 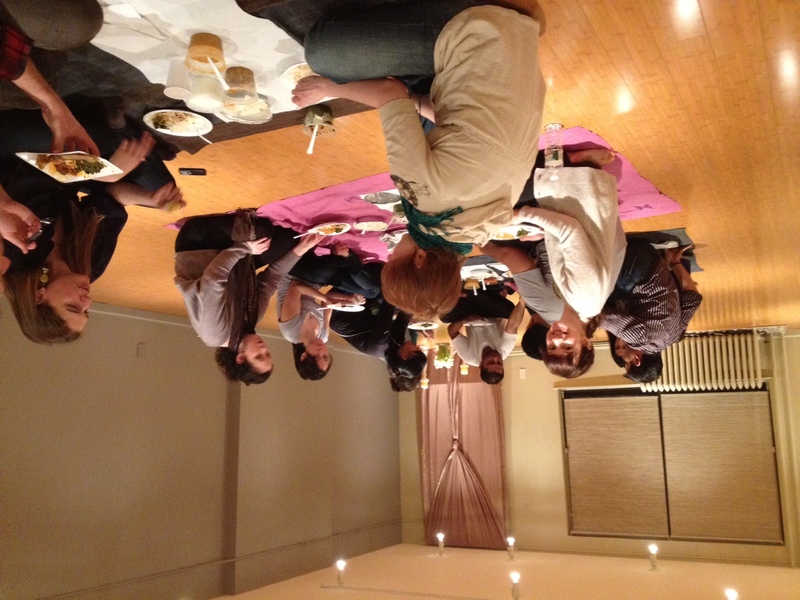 You can take the 5-6.30pm yoga class before and then join for food which is being provided by the Bukhara Grill of NYC. Oct 5th, at Makara Studio with food at Robertos’ pizza! 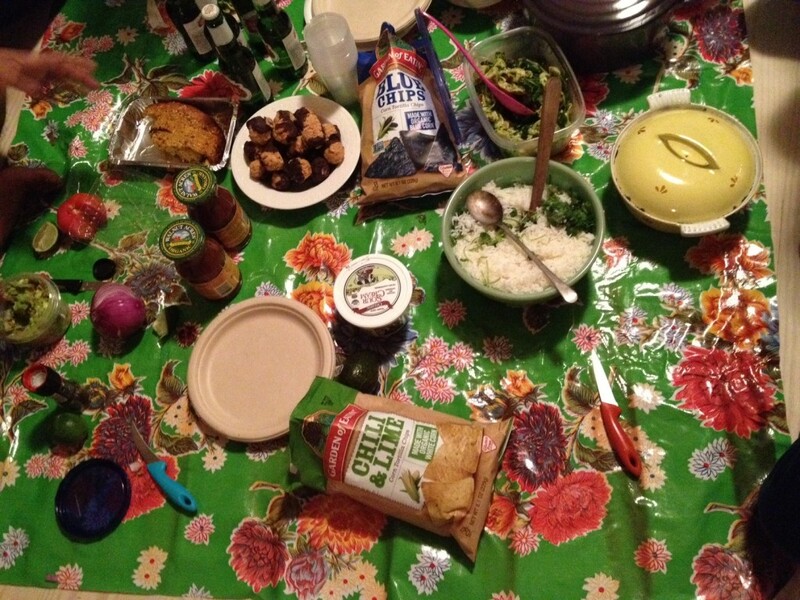 April 27th at Swanand Studio – Indian Street food. Pizza Margharita, Pizza with Pineapple and Pepporoni Pizza. Robertas Pizza Delight! 1. Wow this is so awesome. Do i need to RSVP to attend? We would really appreciate if you can RSVP for the events. But you are welcome to drop in as well. Bring friends! 2. What kind of food or restaurants you include? Our goal is to promote local restaurants that one of us has personally eaten at and can vouch for the food. 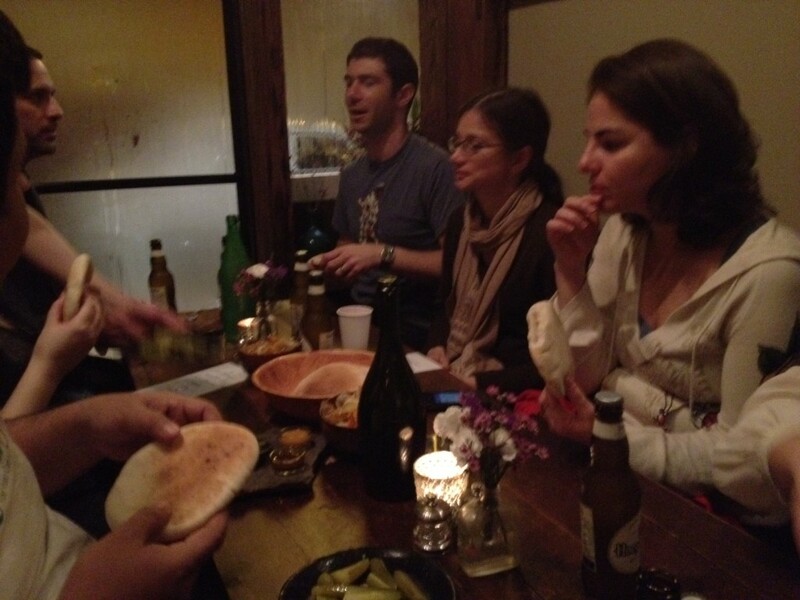 Yes we are foodies – we keep checking out local places. And in some foodies we get home cooked food from the studio owners who are really mucho good cooks. 3. Can i come just for the yoga as i may have other dinner plans? 4. Wait, i love this but i am a little new to yoga. Can i just join for the yummy food? Of course! All foodies are welcome. 6. How can i get this started at my studio or a studio near me? 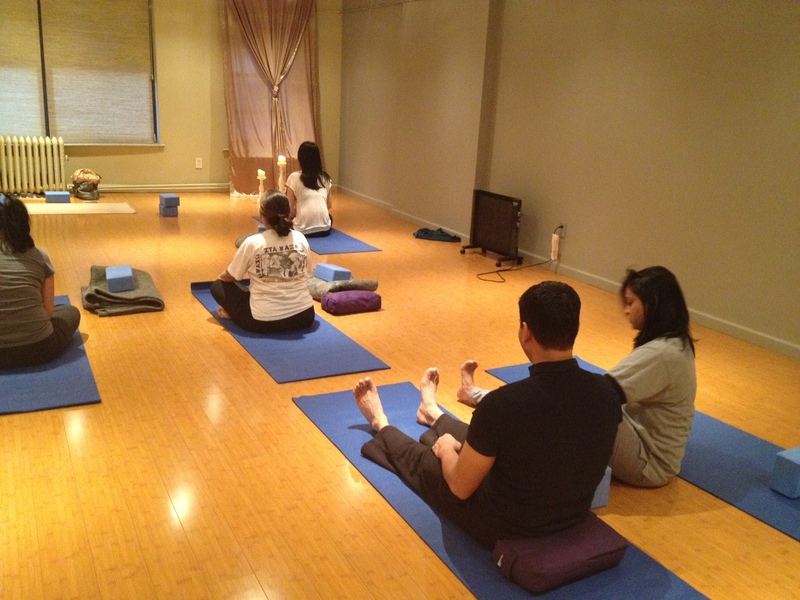 We hope to see you soon at a Yoga for Foodies Friday. 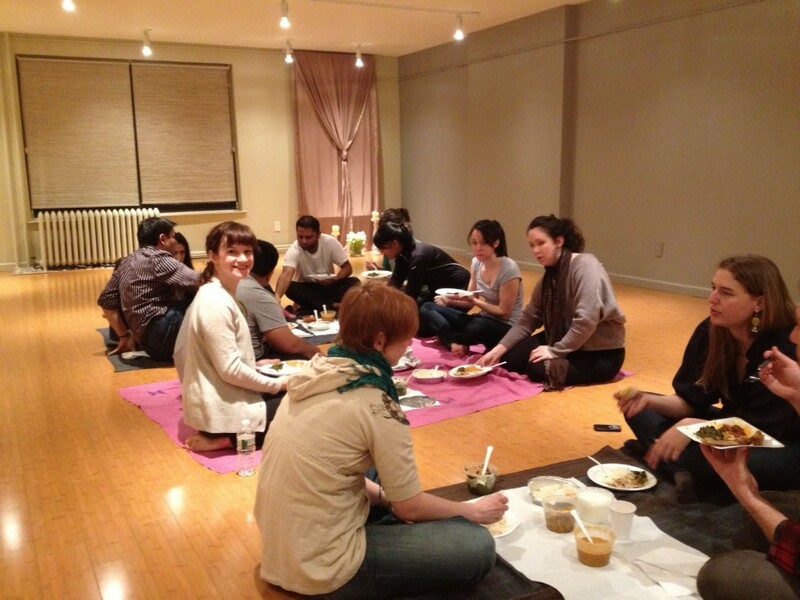 Signup For Yoga for Foodies! I have been to several of these events and they are always great. 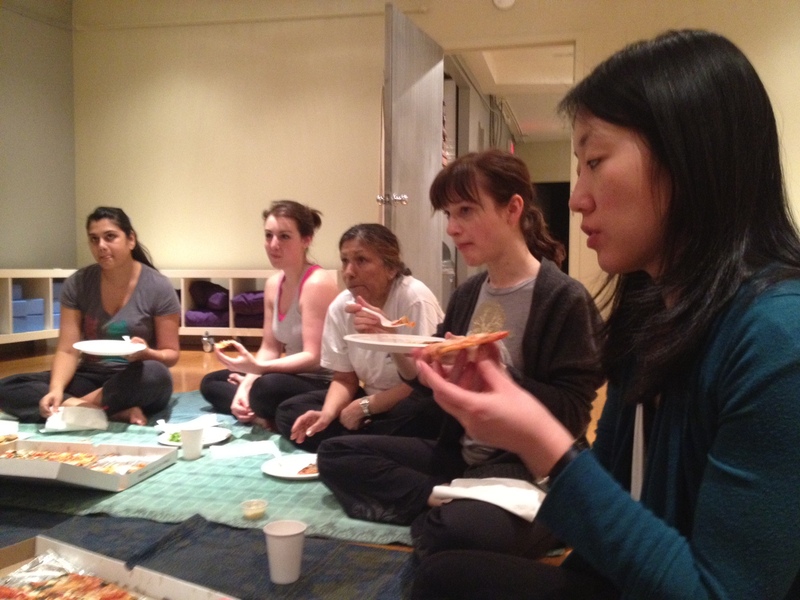 The yoga is a perfect way to end the week and the food is always delicious! 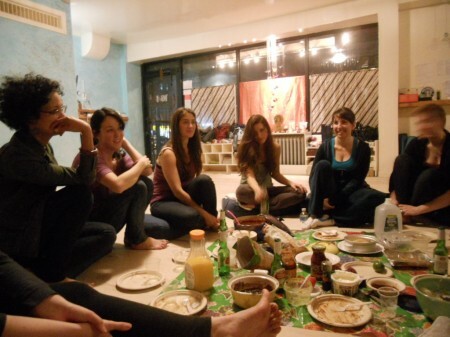 i love yoga for foodies - great yoga, food and like minded people.